So who’s it going to be? And why does it matter. Well, it matters because whoever wins Damn Am of the Year also gets to go straight to the Finals at Tampa Am. On top of that they’ll be skating the SLS Pro Open next year. Predicting who that skater is going to be gets a little tricky though. For more on who even has a shot at it, read on. 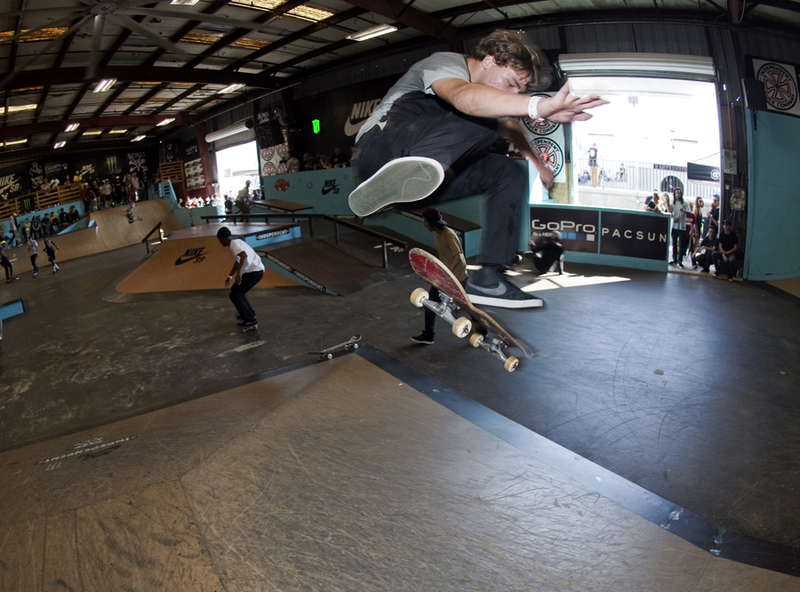 A skater’s best two finishes count toward Damn Am of the Year [DAotY] status. We take a skater’s two highest results and add them together for their final score, the skater with the lowest final score wins. [Example: a 1st place and a 3rd place finish will result in a final score of 4. If two skaters placed differently but finished with the same final score, the one with the highest finish will win. For example a 1st and a 3rd will beat a 2nd and a 2nd. There are 13 skaters left in the running for DAotY. Each of them has at least one 3rd place finish or better so far this year. Going into NYC, Here’s a breakdown of who they are and what they will need to do. After stop 5 at Woodward West, Zion Wright is out front with two 2nd place finishes. IF a skater has not finished in the top 3 they have no chance because even with a win in NYC, Zion Wright already has them beat with his two 2nd place finishes. But if Zion, Niko, Lucas, or Tyson win in NYC [and the second place finisher is someone OTHER than one of the winners-so-far] then they will be DAotY. If there are any ties [e.g. Zion Wright wins and Jereme Knibbs gets 2nd, giving them each a 1st and a 2nd] then the skater with the higher score on their winning run will be DAotY. If those scores are tied, the skater with the higher score in their 2nd place run will be DAotY. If those scores are tied then we might just have them play a game of SKATE or do pushups. Since Zion could do probably do at least a million pushups it might not be fair, but Midler might want to start practicing just in case. Finally, there are four skaters who have a 3rd place finish this year who with a win have a chance to be DAotY assuming we avoid all of the scenarios spelled out above. So, that’s pretty much the gist of it. Make sense? Bottom line is if you see your name on this list, you should get yourself to NYC.